Candy Tree Dessert-Shaved Ice, Durian Waffles and More! 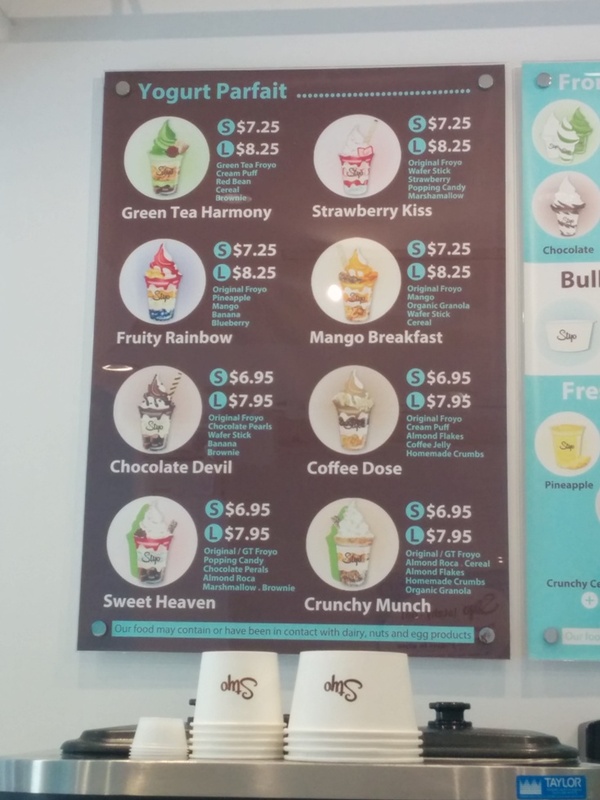 I was invited to another Chinese Bites event and this time we hit up Candy Tree Dessert. 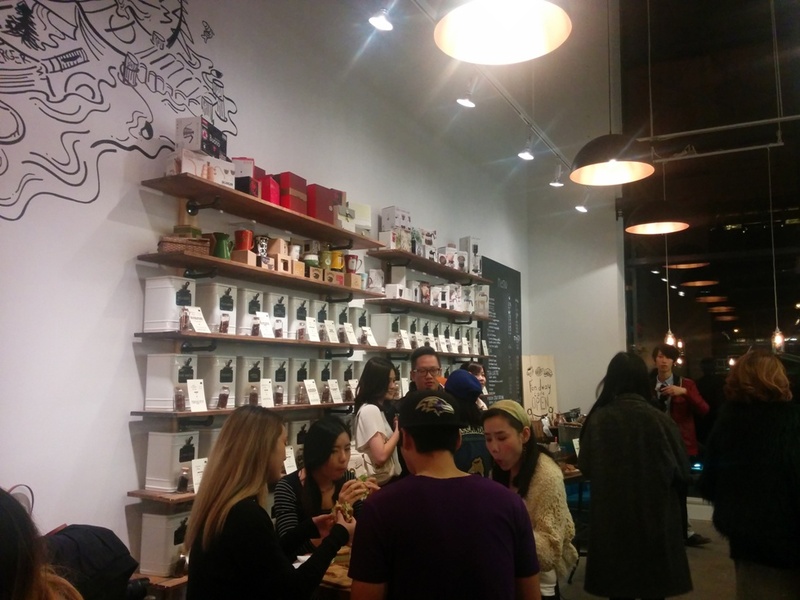 They are located on Kingsway near Patterson and close to the Patterson skytrain station. I knew they would offer similar desserts to Icy Bar so I was ready to embrace everything! My dessert stomach is always ready. We were separated into 3 different tables and each table ordered their own items but I still took pictures of stuff from other tables. This place is pretty small so it’s probably best for small groups since the waits are going to be really long. This entry was posted in Asian, Chinese, Food Reviews and tagged french toast, shaved ice, thick toast, waffles. 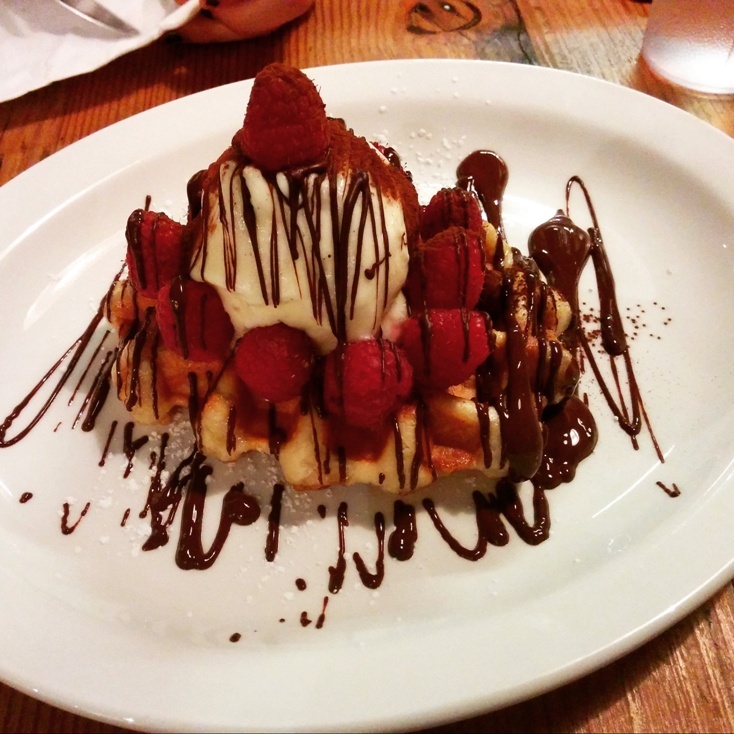 This entry was posted in Eat and Travel, Food Reviews and tagged brunch, desserts, milkshakes, nutella, Sydney, waffles. I am still obsessed with waffles so I was ecstatic when I saw pictures of heart shaped waffles from Beard Papa’s new location! They closed down their stall in Richmond Centre and now they have an actual store in the same complex as London Drugs on No. 3 Road. The space inside is bright and clean and would be a great place to hang out with friends. There’s also an ample amount of seating as well. With their floor to ceiling windows, it’s easy to entice passerby’s to come in! This was the Green Tea and Matcha Waffle and I’ve seen a lot of pictures of it since Beard Papa’s has opened. I loved how they’re in heart shapes and they were nice and chewy! I would totally come back for this. 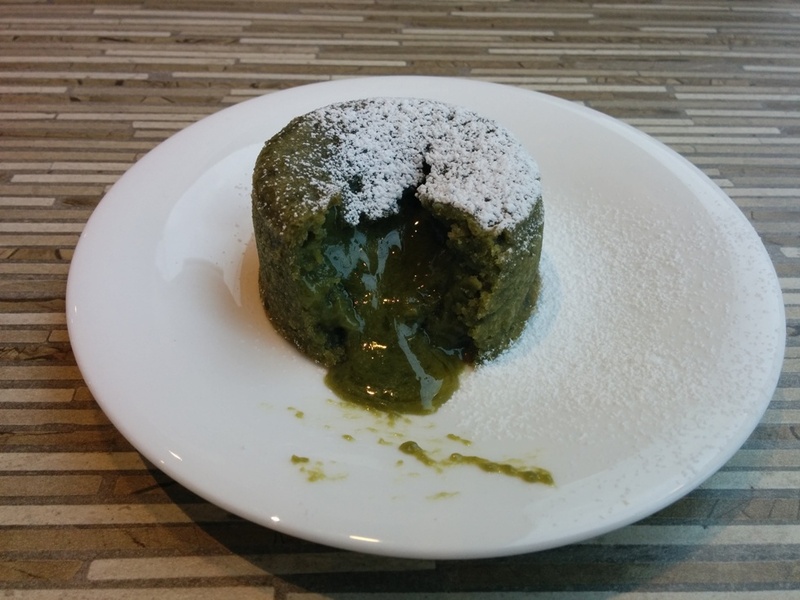 The Green Tea Fondant was not as good though. They display it in their fridge case and then they warm it up for you after you order it so that the fondant is melty although it really was just lukewarm. The cake part was strangely dense and chewy but sorta spongey? The green tea lava inside had a strong green tea flavour as advertised. The cake texture was not appetizing though so I wouldn’t get this again. In addition to their signature cream puffs, they also have some other desserts in a display case now like small cakes and tiramisu. 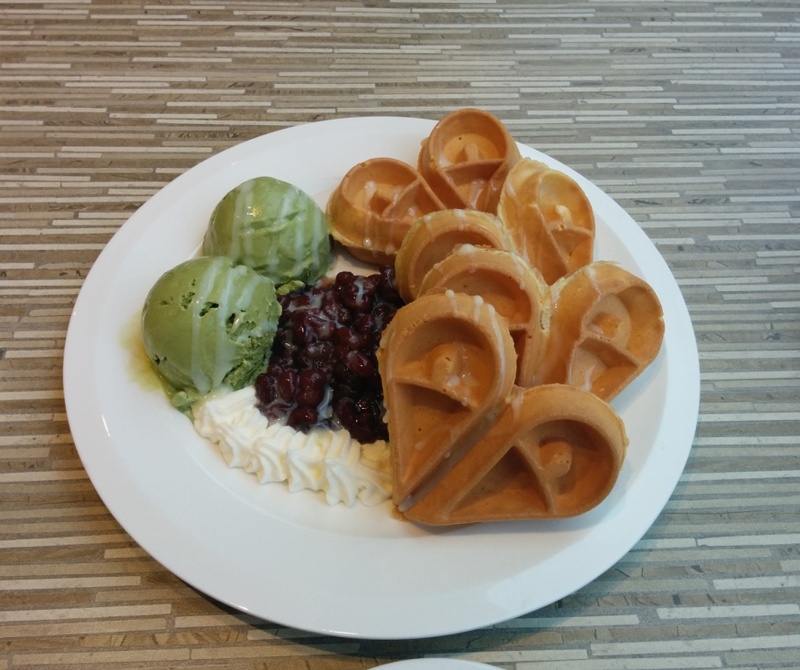 This entry was posted in Cafe/Bakery, Desserts, Food Reviews and tagged cream puffs, desserts, fondant, green tea, ice cream, red bean, waffles. I decided to grab lunch at Miura Waffle and Milk Bar since it was conveniently close to work. I settled on the Garlic Fried Chicken which was served with lettuce, teriyaki sauce and mayo. The portion is large and very filling. I was really looking forward to the garlic fried chicken since you know I love fried chicken! However, the chicken seemed to be under seasoned and there really wasn’t any garlic flavour which was disappointing. The waffles are American style and they are quite soft so the last piece tends to get a bit soggy if you eat slow. I think it was alright but didn’t quite hit the mark this time for me. Their restaurant seems to be quite empty though no matter what time it is. Read about my last visit here and here. 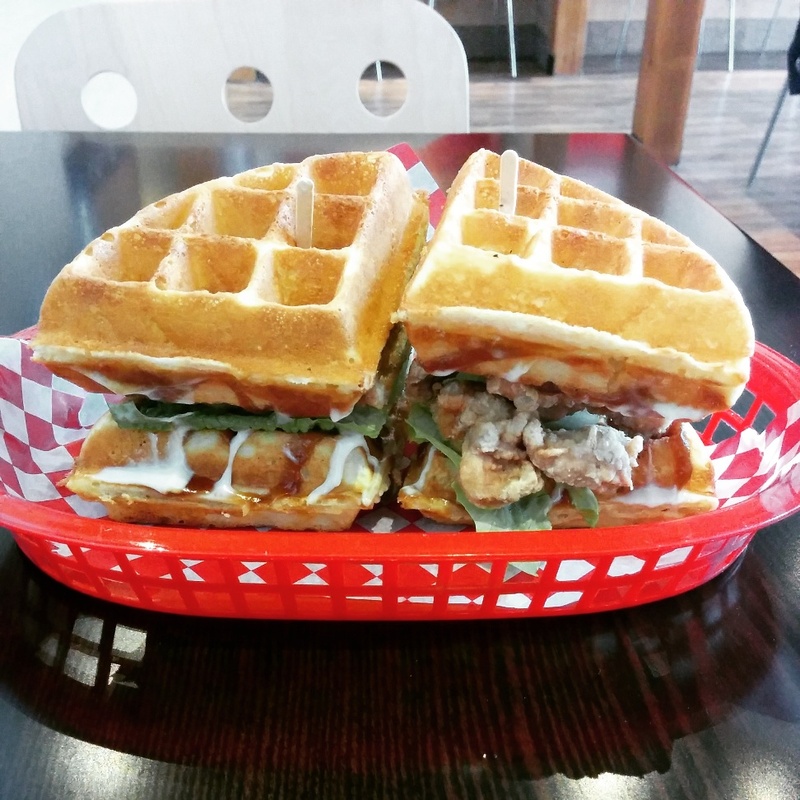 This entry was posted in Cafe/Bakery, Food Reviews, Japanese and tagged fried chicken, waffle sandwich, waffles.